I am thankful to have a Trim Healthy Mama membership and thus have access to their various menus, including their newest Veggie-Full Ultra Trimming Menu. Pearl shared some information about sweet potatoes in the menu plan. 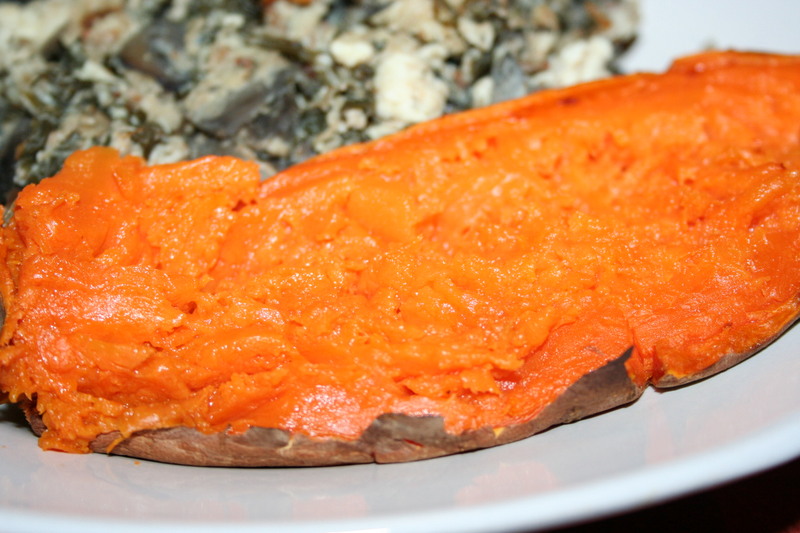 So I did some researching and found that sweet potatoes have soooo many health benefits. They help with memory, vision, inflammation, and a lot of other things. Here are some webpages that share the virtues of sweet potatoes and have links to source information as well. A new concept I heard about is Resistant Starch. Apparently baking low and slow is important to keep most of its nutrients and refrigeration is important to the resistant starch. I don’t really recall all of it but just know that they are extremely beneficial and they are supposed to help lose weight. Oh, one more thing, remember that it is important to have the 1/2 teaspoon of fat with an “e” meal/low fat meal. Surprisingly, I’ve been eating these for breakfast, as well as lunch and dinner. Of course, I have found out that our favorite way to eat sweet potatoes is deep fried, as french fries but that isn’t supposed to be the healthy way of eating them. But they are good for any meal. I hope you’ll be encouraged to eat more sweet potatoes, as I have been.